I have been looking for a vintage style tan coloured belt for a while now. I want to team one with my vast collection of maxi dresses during the summer. I was hoping not to spend too much & so I have had a long search. Finally, my search has come to an end. 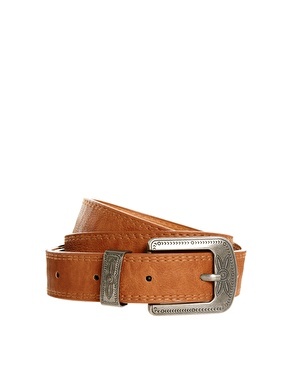 I found these wonderful Western Buckle Belt from New Look which is available at ASOS. It was a total steal at only £4.99 with free p&p…..hooray! I can’t wait to start styling it with different outfits! Previous Post Why I Always Turn To eBay When I Am Trying To Save Money!